The lamb, as a symbol of purity, is one of the symbols of St. Agnes. Every year on January 21st, the memorial of St. Agnes, the pope blesses two lambs that have been raised by Trappists of the Tre Fontane Monastery outside of Rome. 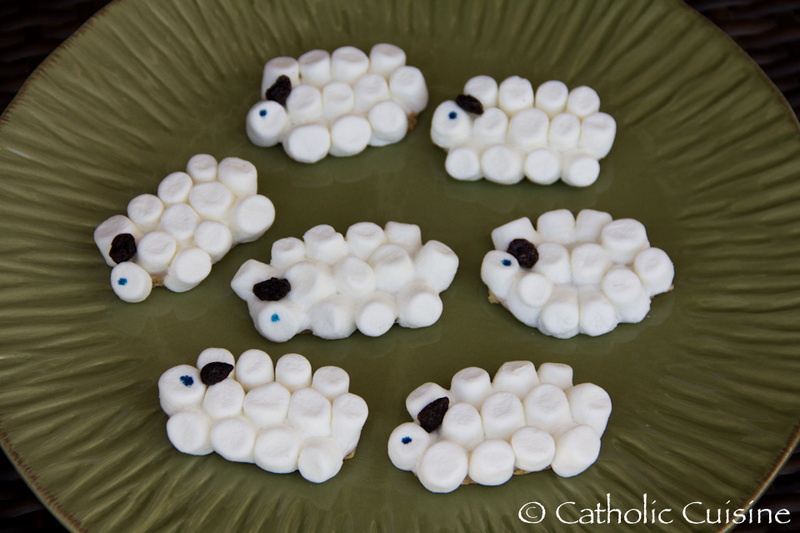 After the lambs have been blessed they are taken to Benedictine nuns at the Monastery of St. Cecilia in Rome. Here the nuns care for them and use their wool to weave the palliums worn by the Pope and his Archbishops. The palliums are conferred on new archbishops (those appointed as archbishops during the preceding year) on the Feast of Sts. Peter and Paul on June 29th. 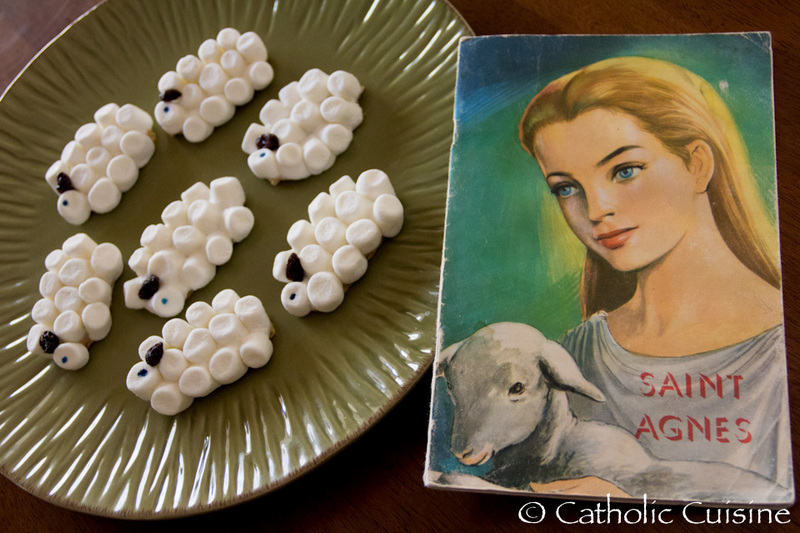 Because of St. Agnes's association with lamb, I made some quick and easy Marshmallow Lamb Cookies for the children to enjoy while coloring pictures and listening to a story about the life of St. Agnes in honor of her memorial. 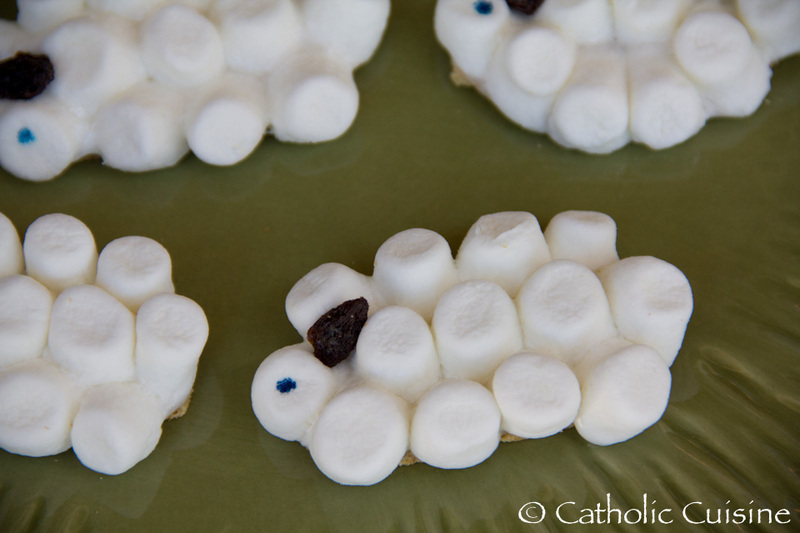 These Marshmallow Lamb Cookies would also be perfect to make during the Easter season! 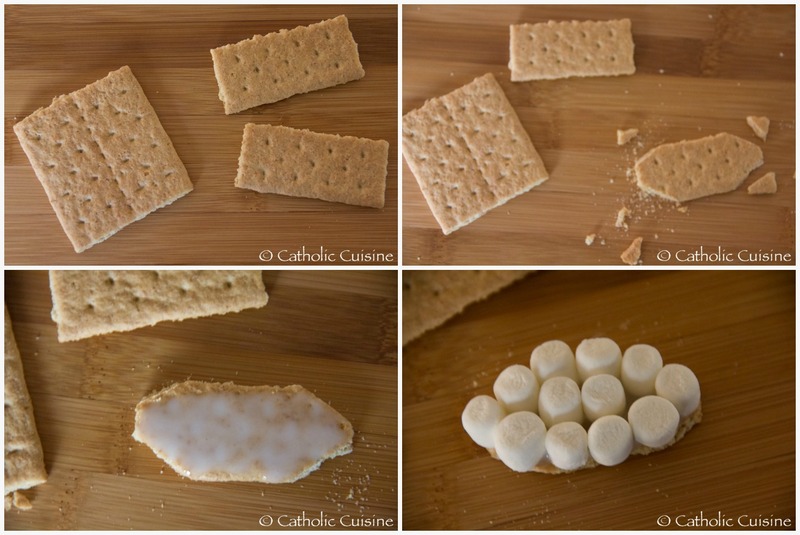 Using a serrated knife and a gentle sawing motion, cut the graham crackers to a somewhat oval shape. 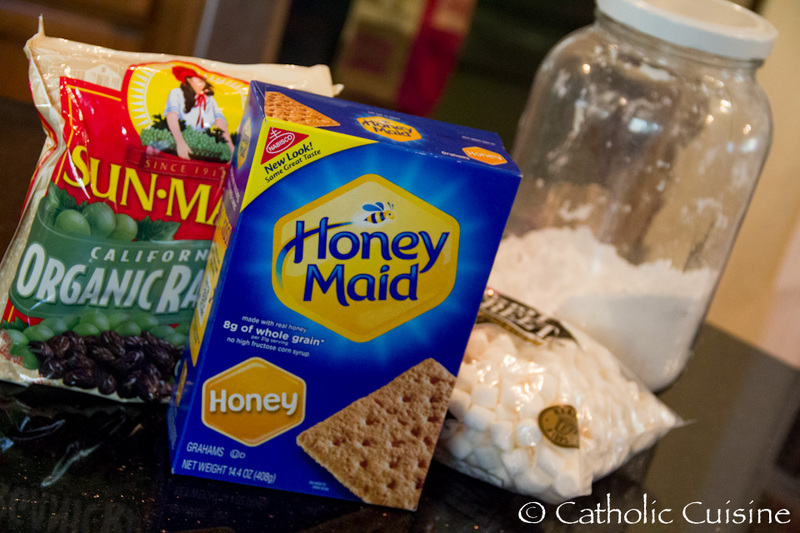 Spread a thin layer of the powdered sugar icing over the top of the graham cracker and cover with marshmallows. Microwave on high for approximately 10 seconds. 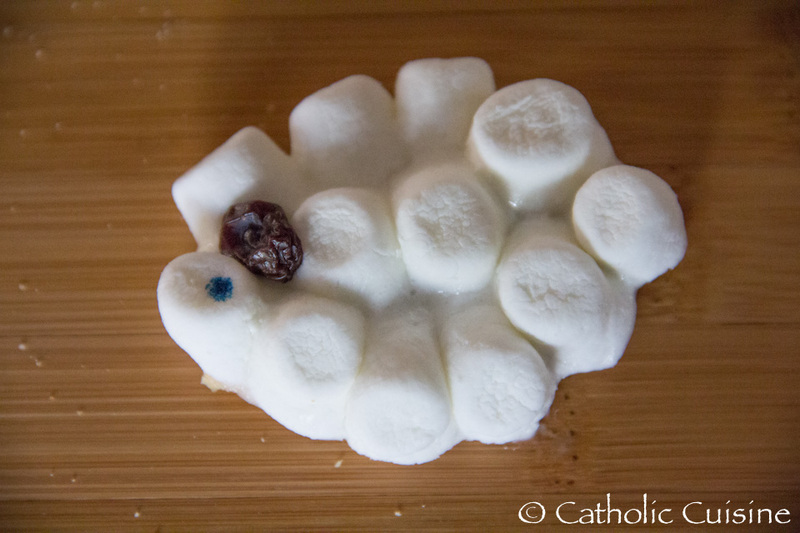 Remove from microwave and gently push the marshmallows together and flatten slightly. Add the raisin for the ear and draw in an eye. Enjoy!